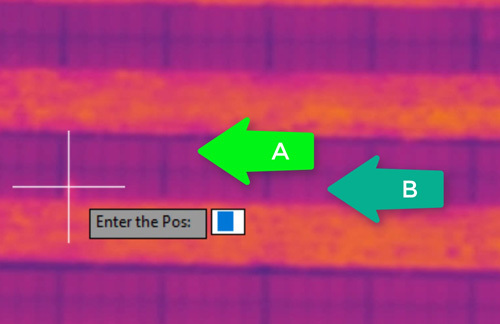 Photovoltaic (PV) Solar panel thermographic inspections, especially PV solar farms of large dimensions, can be quite complex and require lengthy operations. Our inspection solution for PV solar farms using UAVs is extremely fast and accurate. By following some basic rules of thumb you can carry out accurate thermographic inspections on photovoltaic solar farms of any shape and form with high degree of accuracy, reaching the highest quality results. 2. 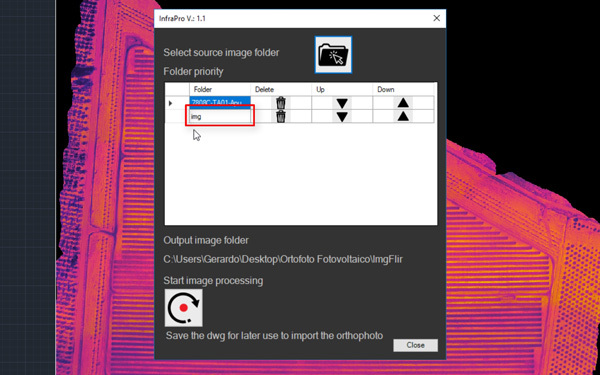 In the “InfraPro” section we are going to choose “Process Project” to import the folder with the shots from the thermal camera. 5. We can assign a name to the area where the hot spot is. For better identification it is suggested to insert it on the line where the malfunctioning panel is, with the addition of the column the identification is even more accurate. 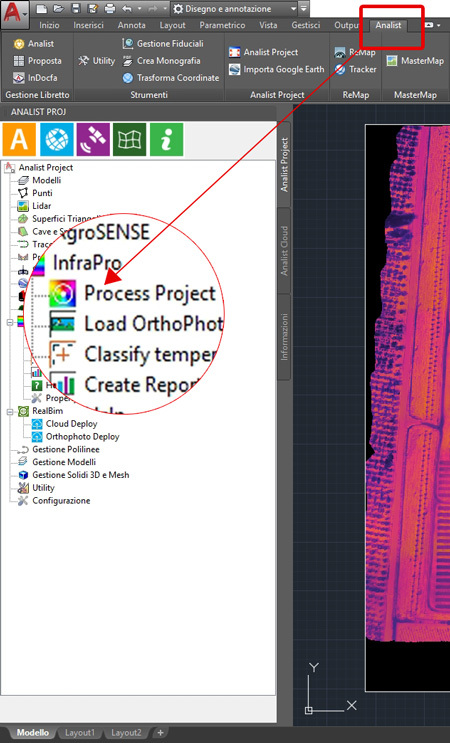 Available in the Analist 2018 CLOUD latest version: INFRAPRO, the new module for thermographic analysis. The Analist Group Complete Drone Solution for Thermographic Inspections comes as a complete workflow. 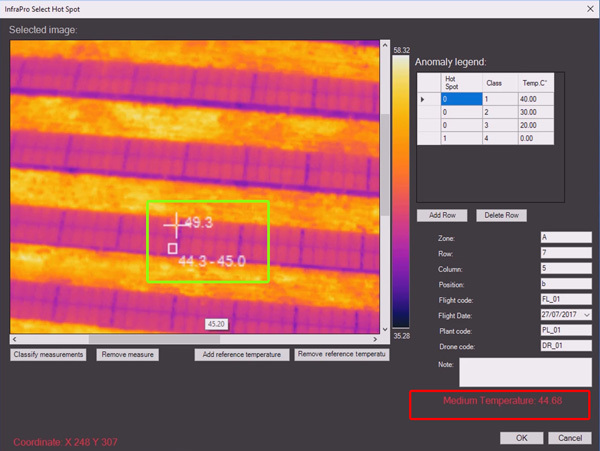 The Drone with the FLIR camera which captures thermal images, now joins Analist CLOUD withINFRAPRO, able to produce a detailed report of the critical issues with temperatures. Suitable for photovoltaic panel inspection in the identification of Hot Spots, or the single cells with a malfunction or critical issues. 7. If the point is on the first line we will show it with the letter “A”, if it on the second we will show it with the letter “B” and so on along the panel. 8. 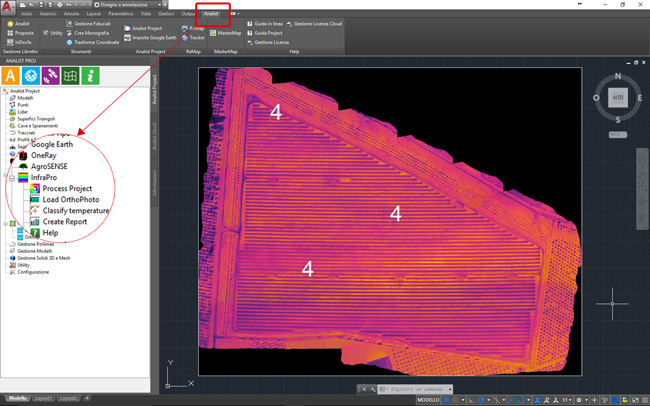 The new INFRAPRO function in Analist 2018 CLOUD shows the frames with the Hot Spot within a specific radius from the hot spot previously identified, which we can set. 9. We are now going to analyse the Hot Spot to evaluate the temperature and compare it with a working cell in order to have a reference temperature. 10. With the same process we can identify and indicate all the Hot Spots on the solar plant for the generation of a Thermographic Report of all the Hot Spots.